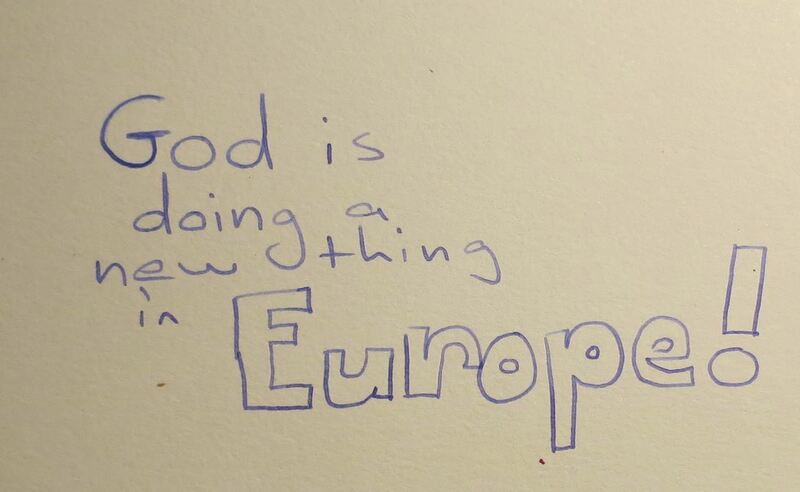 What is God Doing in Europe? We were happy to welcome back the Tendon family. They have recently returned from a one year term in France, and shared what the Lord is doing in Europe and in their lives. Please listen to the Tendon’s comments here to be encouraged! We are happy to welcome back the Tendon family on Sunday, October 26. They have recently returned from a one year term in France, and will be sharing what the Lord is doing in Europe and in their lives. Doors open at 9:45 AM and we begin singing at 10. Because we are coordinating a lunch to share, please RSVP either on the Facebook Event Page or by email at: raytownvineyard@gmail.com.